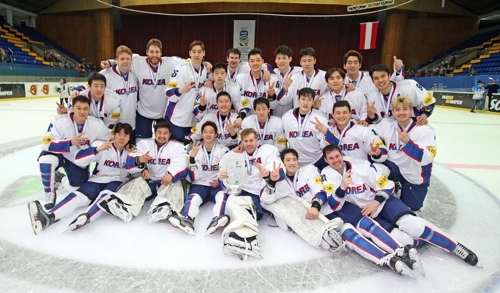 April 28, 2017 / NationalTeamsOfIceHockey / Comments Off on Korea promoted! Korea out shot Ukraine 36-23 during the 65 minutes of play but did too little with its opportunities. There were several hot moments in the third period like when defenceman Vsevolod Tolstushko saved a Korean shot with his skate and on the other side a Ukrainian shot missed the net me millimeters. For the last 29 seconds of regulation time and 71 seconds of the overtime period the Koreans played with a man advantage but Eduard Zakharchenko in the Ukrainian net had a strong night. Korea out shot Ukraine 8-0 in the 3-on-3 overtime. 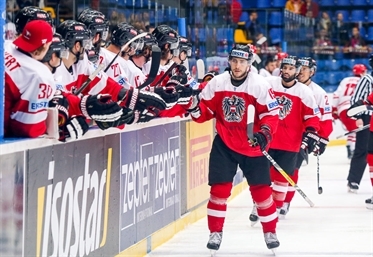 They managed to skate close to the Ukrainian net to shoot several times but missed out from great positions.